This adapter allows a Go!Temp or Go!Link* to connect to the USB port of a TI-Nspire handheld or TI-84 graphing calculator. 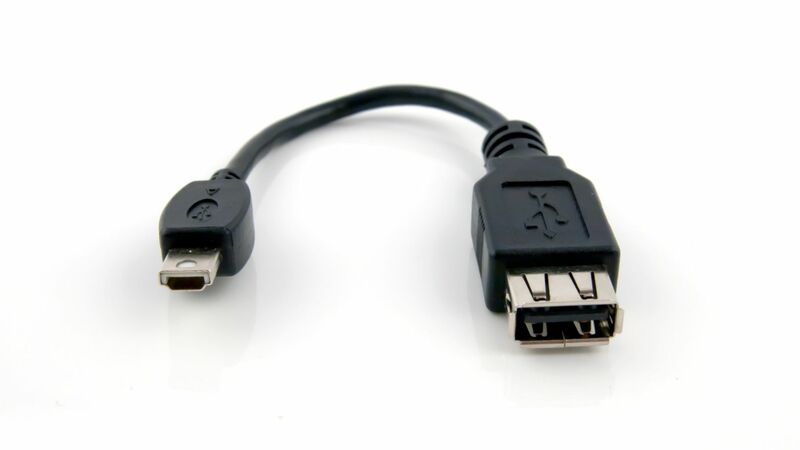 The adapter has a USB standard-A receptacle which connects to the Go!Temp or Go!Link and a USB Mini-A USB plug that connects to the calculator. The adapter can also be used with the USB cable that comes with a Go!Motion. Most consumer electronic devices use a Mini-USB Type B plug, and will NOT WORK with this adapter. This adapter is only tested for use with TI-Nspire handhelds and TI graphing calculators. * Due to calculator power limitations, only Go!Link revision 2 can be used with a TI-Nspire handheld or TI-84 graphing calculator. Go! Link revision 2 units are labeled “Vernier Go!Link”. Go!Link revision 1 units are labeled “Go!Link”.